The 2016 special issue of Interweave Crochet Accessories Magazine features three Kristin Omdahl designs, and it is the first magazine to feature two projects with Kristin Omdahl Yarns. 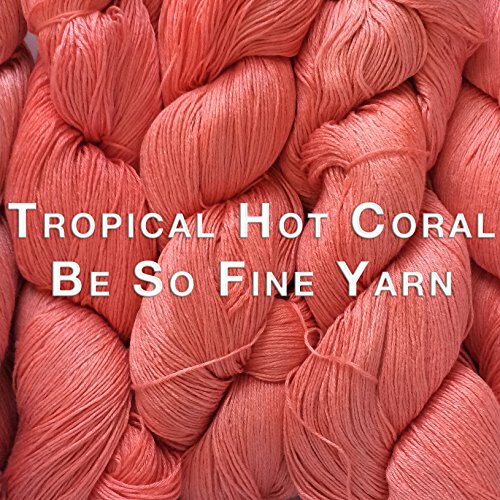 The Petals Cardi Cover highlights Be So Fine Yarn in tropical hot coral and the Bit O' Lace Scarf highlights Be So Sporty Yarn. Crocheted from the center out to both ends, this scarf has perfect symmetry in the edging. 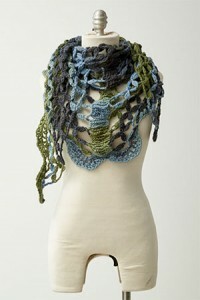 The sides are crocheted to mimic the final edging to create a beautiful frame around the scarf. 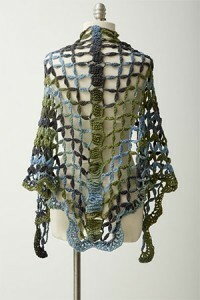 The incredible drape and bold color make this piece a statement. FINISHED SIZE 10″ wide and 54″ long. 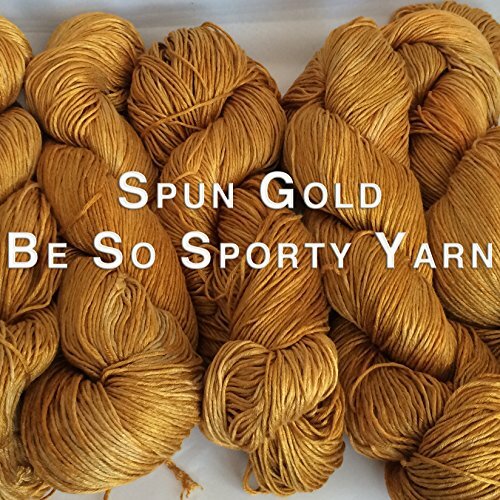 YARN Be So Sporty Bamboo by Kristin Omdahl (100% bamboo; 325 yd [297 m]/ 4 oz [113 g]; ): caramel, 1 hank. NOTIONS Yarn needle. GAUGE 16 dc = 4″, blocked. Worked from the top down, this vest flows from a simple raglan yoke into a gorgeous pineapple-inspired lace bodice. The self-ties can be tied in a bow or corset tied for a spicier look! Wear this top over anything from a T-shirt and jeans to a little sundress. FINISHED SIZE 38½ (40, 44¾ , 49½ , 54½ )” bust circumference. Garment shown measures 38½ “, modeled with 2½ ” ease. YARN Be So Fine Bamboo Yarn by Kristin Omdahl (100% bamboo; 650 yd [594 m]/ 4 oz [113 g]; ): coral, 2 (2, 3, 3, 4) skeins. GAUGE 5 sh and 9 rows = 4″, blocked; 1 pineapple and 1 shell rib = 3″ wide and 3½ ” long, blocked. Specifically designed to accentuate the long, subtle color changes in the yarn, this shawl features a modular construction. Individual pieces are joined in a clever seamless method. FINISHED SIZE 72″ wide; 34″ deep at center back. YARN Schoppel Wolle Reggae Ombre (distributed by Skacel) (100% merino; 109 yd [100 m]/1¾ oz [50 g]; ): #1964 sea of stone, 4 balls. HOOK Size K/10½ (6.5 mm). Adjust hook size if necessary to obtain correct gauge.